It's happening. It's really, finally happening. 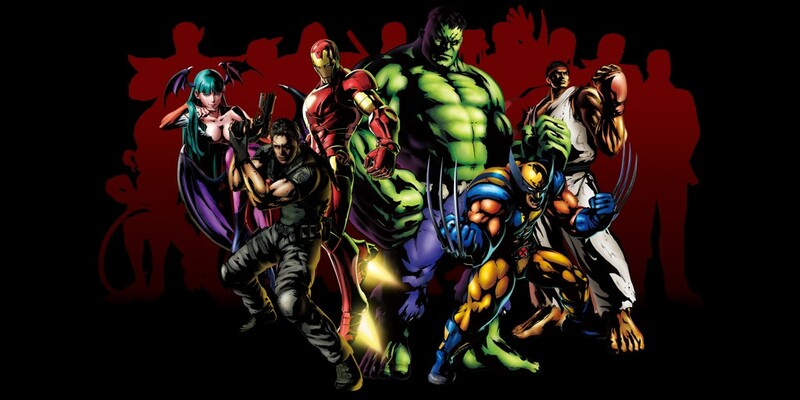 So far confirmed, as seen in the image and trailer, are Ryu, Wolverine, Iron Man, Morrigan, Hulk, and Chris Redfield. I can finally live out my dream of Chris Redfield vs. The Hulk. Yeah I'm glad that deadpool is in it, I just wonder how they are going to reinvent the series. The most recent Street Fighter disappointed the hell out of me. Love Marvel vs. Capcom 2 and I can't help but feel negative about this. Meltman wrote: The most recent Street Fighter disappointed the hell out of me. Love Marvel vs. Capcom 2 and I can't help but feel negative about this. we should have a PWG Super Street Fighter tournament lol. With Kenny Omega, Jack Evans, Human Tornado, or a combination of the three serving as hosts. They could then re-enact the top fights in the ring, especially Kenny and Jack. That would sell tickets easily. I mean, Kings of Trio did a karaoke contest and board games, PWG can set up a Super Street Fighter IV tournament and let Kenny announce the entire show. GENIUS! looks like marvel vs. capcom 3 has some stiff competition with the awesomeness of mortal kombat 9 coming out.